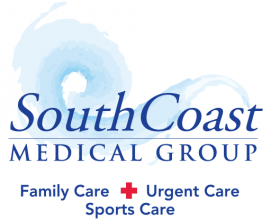 At South Coast Medical, we are passionate about extending our medical expertise to both our patients and the entire community of Aliso Viejo. Our partnership with Soka University has allowed us to educate students and provide them with health care on campus. Dr. Cheng is Soka University’s Health Center Medical Director. He staffs the health center with nurses, physicians, physician assistants and nurse practitioners every weekday between 9:00 a.m. to 5:00 p.m.
On May 4th, 2019 Soka University will celebrate its 18th Annual International Festival around Peace Lake. From 10:30 a.m. to 5:00 p.m. that Saturday, attendees will be able to enjoy 700 musicians and dancers performing on four different stages on campus. Along with the wide variety of performances, over 250 non-profit, craft and business exhibitors will be providing booths around the area. The 2019 International Festival is a part of the Orange County’s Imagination Celebration, presented in cooperation with Arts Orange County and the Orange County Department of Education. There will be an endless amount of international food, exhibitors, games and activities, art exhibitions, ceramic sales, a children’s bounce house, games, student displays and much more! Have your children pick up a Festival Passport at the Information Center at the corner of University Drive and University Circle. They can get it stamped at 6 of 10 stamp stations around the festival and turn it in for a small prize when completed. Our team has been attending Soka’s International Festival for the past five years. Every year, we volunteer as the aid booth for the festival by responding to any injuries or illnesses. We will also be offering first aid kids to all patrons. Be sure to visit our booth right next to the informational booth near the gymnasium. We will have Dr. Shannon O’Connor, Nurse Practitioner Stacy Tse, and three nurses attending. Exhibitors will be there to entice you with international food, ethnic clothing, hand-crafted jewelry, handbags, shoes, crafts and information about local businesses and government offices! Admission is free for everyone! For more information regarding this event, click here.